In its judgment on Wednesday, the Supreme Court has said that the ambitious plan base of the Centre is constitutionally valid. 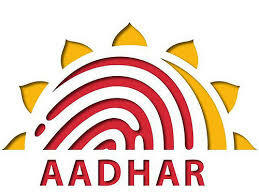 The Supreme Court has said in its decision that the Aadhar card is not mandatory for opening a bank account. 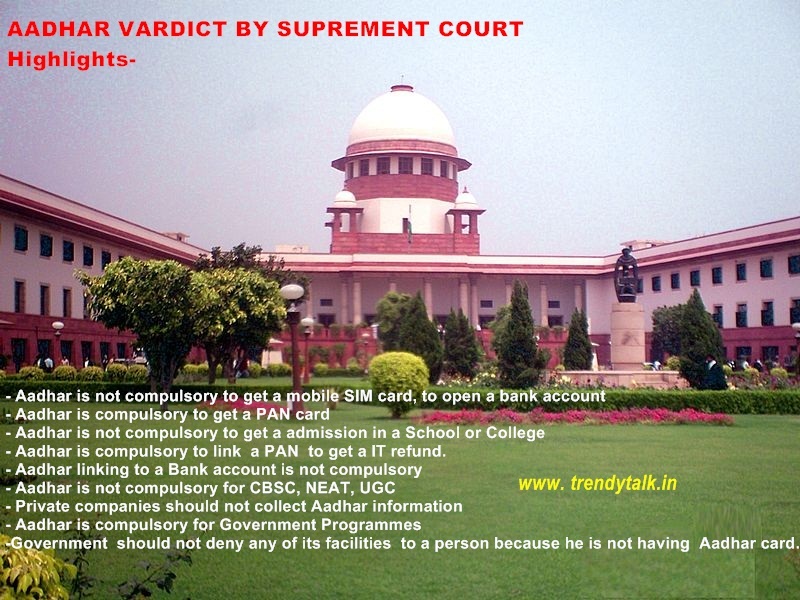 Besides, the Aadhar card is not necessary for mobile SIM card. But the Supreme Court has upheld the mandatory basis for the PAN. According to this decision, link/linking of Aadhar card number to the bank account is not mandatory. Similarly, telecom service providers can not ask consumers to link their Aadhaar numbers with their phones. The bench said that the basis for filing income tax returns and making PAN cards is mandatory. Chief Justice Deepak Mishra, Justice A.K. M. Khanvilkar and Justice A on his behalf. K. Sikri has ruled on the basis. The Supreme Court said that it is mandatory to add Permanent Account Number (PAN) number to the base for income tax return. While hearing the petition challenging constitutional recognition of the Apex court, the Supreme Court said that no mobile company can call the Aadhar card. Aadhar is compulsory to link a PAN to get an IT refund. The government should not deny any of its facilities to a person because he is not having Aadhar card. The five-member Constitution Bench headed by Chief Justice Deepak Mishra said in its decision on Wednesday that “it is better to be unique than being the best”. 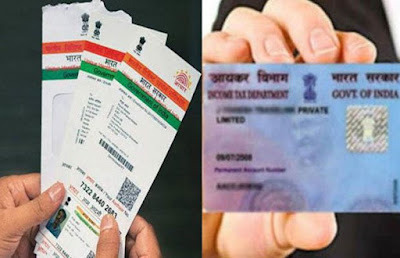 PAN card is issued mainly to prevent tax evasion. It links all financial transactions. Income tax expected to return IT files of all the individual or entity transactions. Now every transaction requires PAN card and it is one of the most important document issued by the income tax department. Opening a bank account, credit or debit cards, selling or buying vehicles etc. each and everything needs PAN card. You can apply new PAN card online. It is very easy to get this document. Yes Ishita, you said it right.